As summer approaches, so does the festival season, a time of excitement, music and camping under the stars. In the past, I've loved nothing more than rallying up my friends, and planning a festival getaway across the Channel. To help you get inspired for your summer trip to Europe, I've put together a list of some of the best festivals in the continent, from the coastal Benicàssim, to the hard rocking Rock Am Ring. Located in the small port town of Benicàssim, between the bustling cities of Barcelona and Valencia, this fun and trendy festival is one of the most popular with European music fans. This year, the event will begin on 16th July and end on the 19th, and with no curfew, you'll be able to dance all the way through to the early hours. The line-up for this year includes a variety of top bands and performers, such as Blur, The Prodigy, Los Planetas, Public Enemy and Clean Bandit. With the beach just a brief walk from the main stage, you'll be able to spend the day enjoying the sun, and the evening dancing to the latest hits. Located in the city of Hasselt, in an area of woodland and countryside close to the village of Kiewit, Pukklepop is a three-day festival that starts on 20th August this year. Originally a small festival that began in 1985, Pukklepop has grown to become one of the continent's most popular festivals, with music lovers from around the world making the journey to Belgium. The line-up for this year includes a varied range of acts, such as Ellie Goulding, Bastille, Chvrches and Coheed and Cambria - so you'll be able to dance, sing and rock out. On top of the great music, Pukklepop also provides festivalgoers with free access to the two camping sites, so you'll save plenty of money on accommodation. 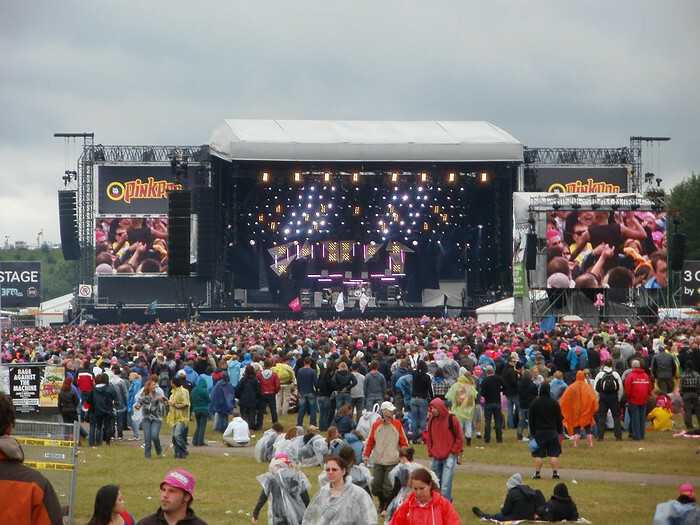 Held in Landgraaf, Pinkpop has been delivering incredible shows since 1970, making it the oldest and longest running pop and rock music festival in the world. The festival gets its name from the word Pinksteren, which is Dutch for Pentecost, the holiday and days the festival is traditionally held on. However, this year the festival will be running between 12th and 14th of June. Across the three stages, incredible acts such as Muse, the Foo Fighters, Sam Smith and Pharrell Williams will be performing their best-loved hits. The festival also hosts a range of more local artists and bands, including the singer-songwriter Anouk and the hip-hop group De Jeugd van Tegenwoordig, so make sure you check these out too. Rock am Ring and Rock im Park are two German rock festivals that occur simultaneously, with Mendig being the location of Rock Am Ring this year, and Nuremberg for Rock Im Park. Each of the festivals has three stages, and this year the line-up will include some impressive rock names, such as Slipknot, Marilyn Manson, Skindred and Motörhead. There's also going to be music from a range of alternative acts, such as The Prodigy, Hozier and Jamie T. It's the perfect festival for a metal head, but also caters for all of you pop rock fans too. Feeling ready to sing, dance and rock? If this post has got you inspired to dance the summer way in Europe this year, make sure you make the journey with Eurotunnel Le Shuttle . It only takes 35-minutes to cross the Channel, so you'll be moshing, singing and cheering along to your favourite act in no time at all.